Ontario’s Lake Country is home to some of the best camping spots including 3 provincial parks located on or near Lake Simcoe. Make nature your best friend and bring your tent or trailer and stay awhile to enjoy our outdoor playground. There are many activities waiting for you including great Ontario attractions and outdoor adventure such as fishing, swimming, boating, camp fires and so much more. From our family to yours, welcome to Point of Mara Resort &Trailer Park, where we are committed to providing generations of unforgettable family memories. Conveniently located an hour and a half drive from Toronto, and situated on the most beautiful and safe shores of Lake Simcoe. Whether you are looking for a place to stay for the whole season, or perhaps a place to escape for the weekend, we have what you need. Come experience what Lake Simcoe has to offer at Point of Mara Resort! Quiet family camping on the shores of Lake Simcoe, Seasonal and daily camping available. Tourist Resort, Accommodations, Trailer Park, Housekeeping Motel area, Cottages and Marina. Follow Waterview Trail and learn how Bass Lake park, a farm for more than 100 years, was transformed to a recreational area. Just west of Orillia – close to historic Huronia – it is a popular spot for swimming, hiking, fishing and boating. Its fields and trails are good for skiing and snowshoeing in winter. Bass Lake offers canoe, kayak, paddle boats and stand up paddle board rentals. We are a privately owned RV Park catering to family campers and boaters. 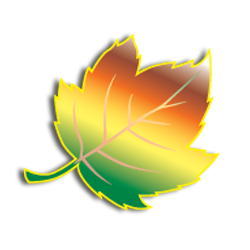 We are a member of the Ontario Private Campground Association. Located just minutes from Orillia on beautiful Lake Couchiching at the Narrows – part of the Trent Severn Waterway and just down the road from Casino Rama. 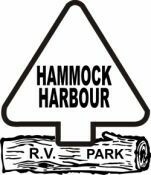 Hammock Harbour has 2 cabins and 2 yurts overlooking the lake as well as the campground. There are lots of choices for recreational activities including swimming pool, tennis courts, basketball, mini golf, playground, fishing, rentals, games room and more. We are a multiple award winning dealership that is a nationally recognized leader in both sales and customer satisfaction. We are happy to be able to pass our unique and exclusive volume discounts directly to you. Heidi’s RV Superstore only represents the highest quality products from the most respected manufacturers and suppliers in the RV industry. Heidi’s RV Superstore is the perfect place to find the RV that you are looking for. You will be able to find what ever you are looking for in our massive inventory. Our helpful and friendly sales associates will be able to find you the perfect new or pre-loved RV that you were looking for. LAUDERDALE POINT MARINA & RESORT INC.
Lauderdale Point Marina & Resort is located along the Trent Severn Waterway on Sparrow Lake. Their marina services include; ethanol free gas, diesel, marine mechanic and winter storage! They also offer an extensive list of amenities. Boat rentals are available. You can even stay on land as they have camping & RV sites and trailer & cabin rentals. For over 4,000 years, natives built weirs to harvest fish teeming in the narrows here between Lakes Couchiching and Lake Simcoe. Perch still spawn here, and anglers also come for bass, muskie and trout. The main attraction of this little park near Orillia is the wide, sandy beach, one of Lake Simcoe’s best. Mara has 105 campsites, 36 of which have electrical service. Some are suitable for large travel trailers, or recreational vehicles. All sites have fire pits and picnic tables. There are comfort stations with flush toilets and showers, water taps for fresh drinking water, and vault toilets scattered throughout the campgrounds. There is also a trailer sanitation station located in the park. All sites are within easy walking distance to the day use area. Reservations are available for the Victoria Day weekend, then again from the 3rd Friday in June until Labour Day. During the spring season, sites are available on a first-come, first-served basis. Mariner’s Paradise is a tidy & well-groomed park. Seasonal trailer sites are available, as well as tent sites. A pool, sandy beach, kids playground, horseshoe pits, and more are all available on site. Located between Coldwater & Midland and on the waters of Matchedash Bay, Matchedash Camp is a campground fit for everyone! Trailer sites, tent sites and rustic cabins are available. Fish from your boat, canoe or kayak for Pike and Bass (during the summer), and Rainbow Trout and Salmon (during the fall). Oro Family Campground, a private campground, located between Barrie and Orillia, Ontario on Hwy 11 across from Burl’s Creek, features large wooded sites for both the seasonal, daily or weekend campers. We also have a small bunky style cabin for rent (see rate/rentals for details on our website.) Other features are heated washrooms with showers, laundry facilities, camp store, pool, horseshoe pits, and more. We are geared for family camping and fun. There is lots to do within the camp and surrounding areas. This marina, established in 1960, provides about 62 boat slips, car parking, winter boat storage and fuel. Tamarack Park provides a water taxi service to Waubic Restaurant for those who do not own a boat, but would love to dine on the river. Since 1969 The Hitch House has been committed to meeting and exceeding your highest expectations. With the largest selection of new Thor Motor Coach, Newmar, Chateau, Pleasure-Way and Roadtrek models in Ontario, as well as a selection of quality pre-owned motorhomes and RV’s for sale, our friendly and knowledgeable sales staff have exactly what you are looking for when planning your next trip. 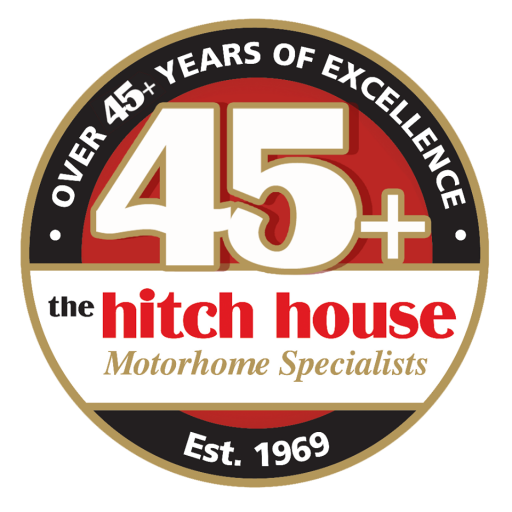 For those who already have a motorhome, The Hitch House has the largest Motorhome service facility in Ontario, staffed with quality certified service staff ready to take care of whatever your needs are. Add to that over 7500 sq/ft of parts and accessories, we have everything you want to get back on the road.